Coconut Cream and Milk, fresh home made is another nectar item. It’s labor intensive, but so rewarding. Try it at least once, if it’s too much for you, buy it in a can. 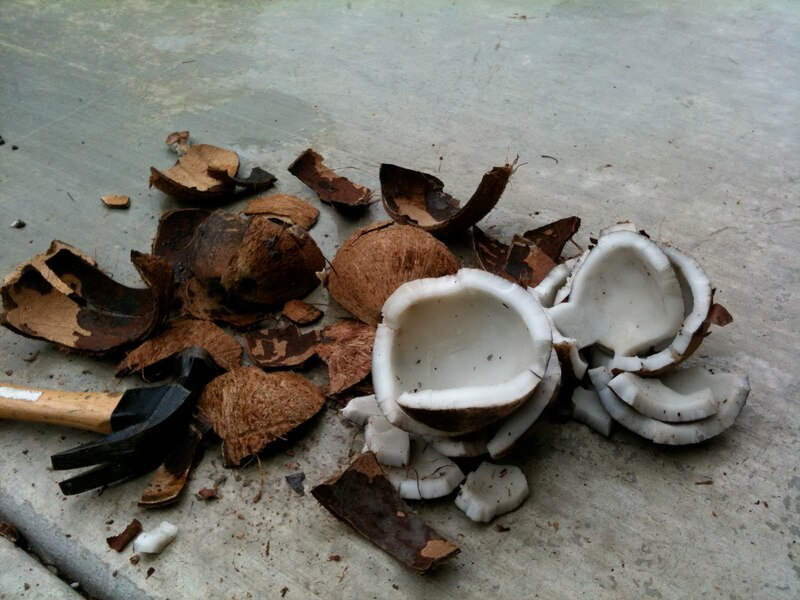 Buy a good coconut, it should feel heavy and you can hear the water inside sloshing around. 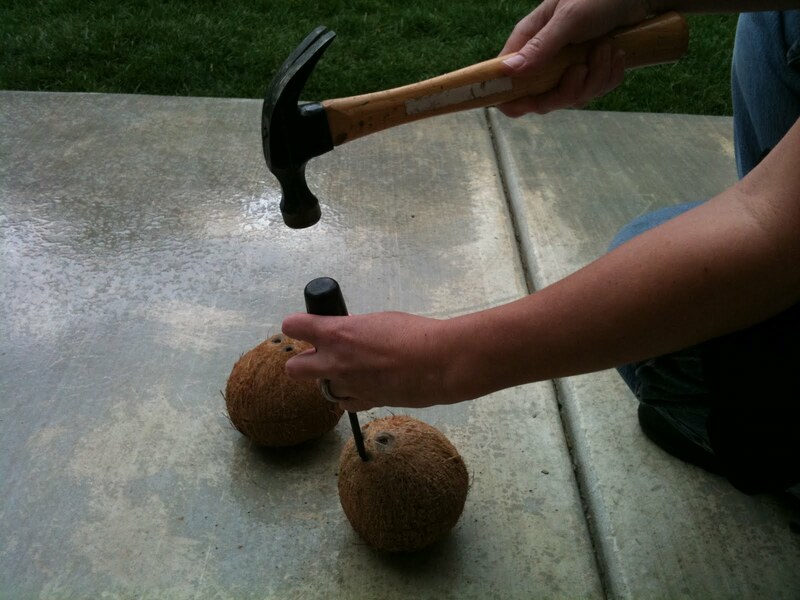 On the top of the coconut are 3 eyes, dark looking holes, take a screw driver and hammer the holes so the screw driver breaks into the coconut. 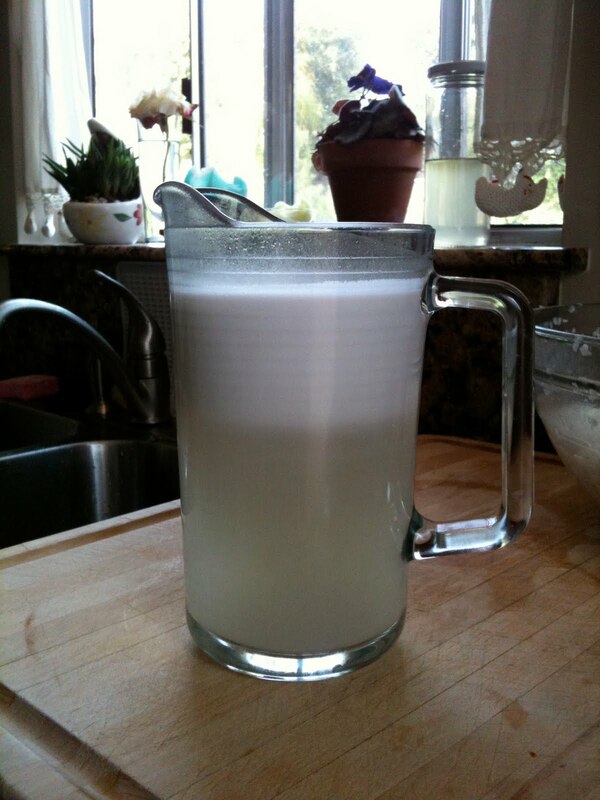 Pour out the coco water, keep or discard it’s not needed for the coconut cream or milk. Bake the coconut in the oven for 375 degrees for 20 minutes, let it cool. Now to the cracking ! Hammer in hand, get to cracking, break off the outer hard shell. The flesh will have a thinner darker skin that you will need to peel off with a vegetable peeler. Break up the peeled flesh and grind it up in a heavy duty food processor to a pulp. 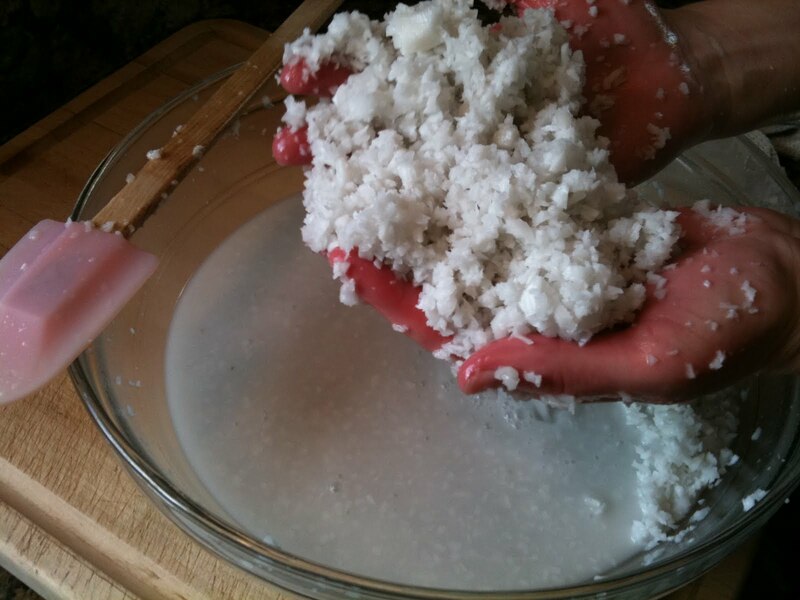 Transfer the pulp to a large bowl and fill with hot water to cover the pulp. Now it’s spa time, get yours hands in the bowl and massage, squeeze & milk that pulp ! 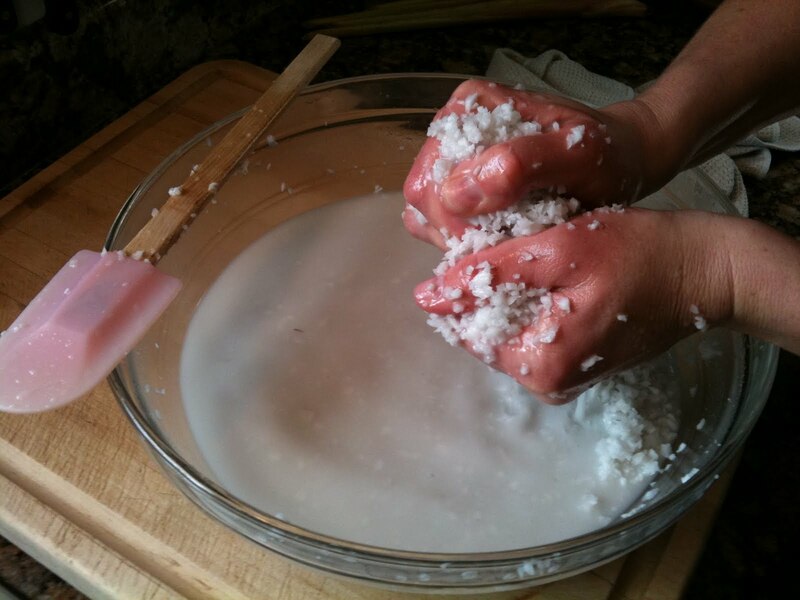 Do this eighty nine times, this is a Thai ritual believed to produce a rich and creamy coconut milk. It’s great for your skin too, your hands will feel amazing after this. 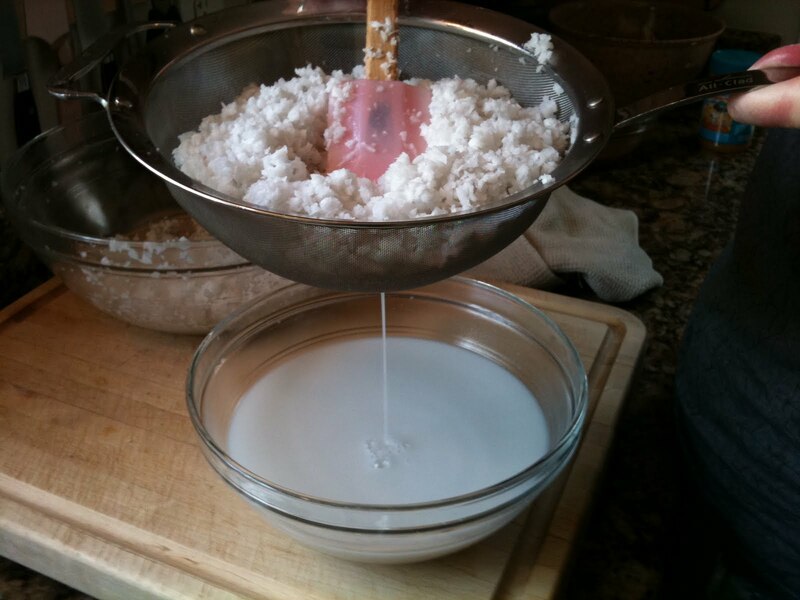 Drain with a strainer into a smaller bowl, all the liquid, this will be the coconut cream. Reserve the pulp in the same large bowl, add more hot water and do the whole process again. This liquid will be the coconut milk. As I’ve stated before I’m not a writer, so if there seem to be holes in my info buy Su-Mei’s cook book, she goes in to great detail about all of these recipes. Set aside for the Peanut Sauce and Satay marinade we’ll make later. >What time is dinner? Wish I could be there with you all. >Its such a wonderful blog! Thank you for your tips on the Corn Beef.